We’ve rounded up the top 15 bottles to buy on your next trip to Monoprix—because drinking supermarket wine on a budget doesn’t have to be a total dommage. 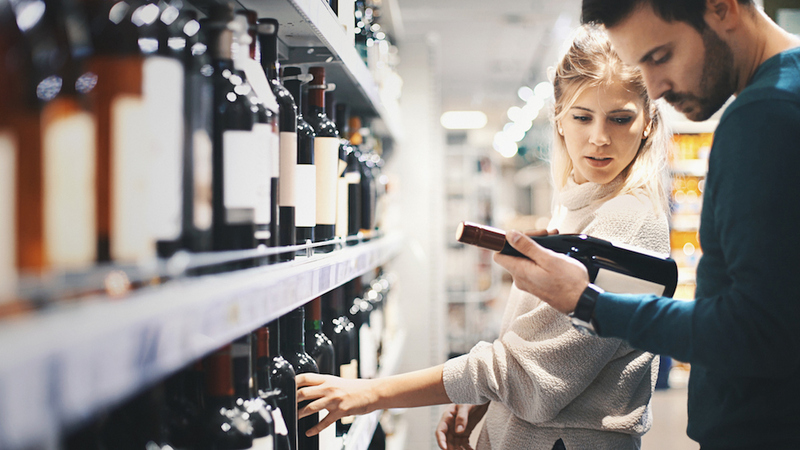 From study-abroad ventures, to romantic honeymoons, to nearly every Eurotrip-inspired getaway in between, most Paris-bound travelers have found themselves in the wine aisle of Monoprix, pondering the exact same thought: Where do I start? Quite a few gems are lurking among the store’s overflowing wine shelves. We’ve rounded up the top 15 bottles to buy on your next trip to Monoprix—because drinking supermarket wine on a budget doesn’t have to be a total dommage. In the world of affordable sparkling, this organic Chardonnay/Chenin Blanc blend stands out among the rest. Produced in Saumur, from a 150+ year old house, this fruit-forward and fizzy wine shows notes of citrus, stone fruit, and almond, giving way to a refreshing, satisfying finish. Perfect for popping at at lunch, apéro, or late-weekend breakfasts (hey, you’re in Paris after all, right?). Although the priciest bottle on the list, this one might just take the cake for best ‘bang for your buck’ value. This 100 percent Chardonnay hails from the Grand Cru village of Le Mesnil-sur-Oger, located in Champagne’s Côte des Blancs region. The wine is intense and mineral driven, showing notes of citrus, brioche, and chalky lemon—basically everything you want in a textured and complex bottle of bubbly. Creamy yet crisp, with a long, nutty finish. Grand Cru Champagne for 23 euros? We’d buy a few of these. For a crisp, thirst-quenching white, look no further than Tariquet’s ‘Classic’ white. Produced from a kitchen sink blend of indigenous varieties from Gascony (including Ugni Blanc, Colombard, Sauvignon Blanc, and Gros Manseng), the wine shows flavors of lemongrass, white flowers, and herbs. Perfect for picnics in one of Paris’ many parks. Beaujolais Blanc as a category is rare in itself; finding a decent one for six euros at the grocery store? Now that’s worth the spend. Grown in limestone soils and vinified in steel, this crisp, easy-drinking Chardonnay is round yet fresh, coming to life alongside an array of French cheeses. Hit your local fromagerie, create your own instagrammable planche, and pop this bottle for the ideal at-home apéro. Menetou-Salon has long lived in the shadows of its world-renowned neighbor, Sancerre, producing quality Sauvignon Blanc and Pinot Noir at a fraction of the cost. Domaine Pellé is a fourth-generation producer, taking a natural approach to viticulture and vinification, farming organically and harvesting by hand. Their entry level SB comes from Kimmeridgian limestone and silex soils, aged in both tank and used wood. Crisp, mineral-driven, and fresh, with notes of lemon and wet stones; basically Sancerre on a budget-- a steal for the price. Love acid-driven whites? This one’s for you. Crafted from 100 percent Jacquere, this Alpine influenced white comes from fifth and sixth-generation winemakers Gilbert and Jean Perrier, grown on the steel slopes of Apremont. ‘Gastronomie’ is vinified and aged in steel, preserving the wine’s naturally high acidity; notes of white flowers, flint, and lemon dominate, giving way to a zesty, lip-puckering finish. Great with rich Savoyard cuisine, including raclette, tartiflette, and of course, fondue. 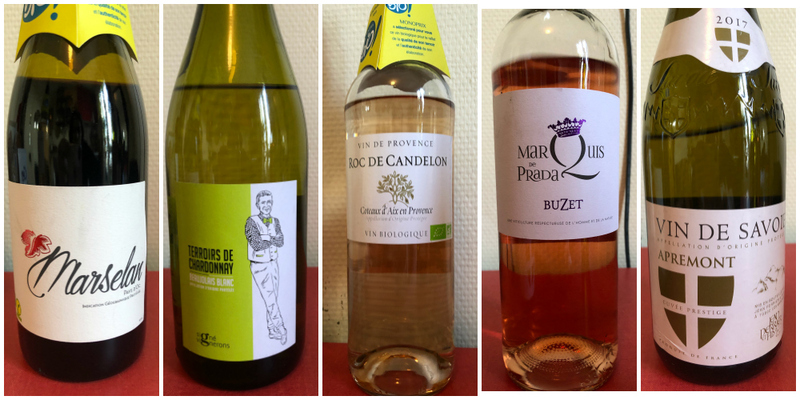 For a more ‘serious’ rosé, Tavel is the answer. This southern French appellation is the only AOC entirely dedicated to rosé production, creating darker pigmented wines full of flavor and complexity. Fruit for Château d’Aqueria’s Grenache dominant rosé is hand-harvested and vinified entirely in steel; full-bodied and fruit forward, oozing with notes of ripe cherry, raspberry, and crushed stones. A savory ‘food rosé’—pair with salads, poultry, and rich seafood dishes. And for those looking to simply crush an easy-drinking bottle of pink, this organic Provencal rosé is your best bet. Clocking in at under seven euros a pop, the wine is exactly what you want it to be: fruit-forward and bright, with energetic acidity, showing notes of red berries, tart citrus, and grassy earth. Drink very chilled while posted up along the Seine to live your best Parisian life. For something a little more unique, check out this bottle of rosé from Buzet, located in France’s South West region. Comprised of Merlot, Cabernet Sauvignon, and Cabernet Franc, the wine shows floral and earthy flavors on the palate, giving way to a peppery, soil-driven finish. Not your run of the mill Provencal rosé; more tannic and gritty, in an interesting, off-the-beaten path way. Pair with grilled veggies for a savory, satisfying pink-drinking experience. ‘Affordable Burgundy’ has become one of the wine world’s biggest juxtapositions. However, for less than 10 euros a bottle, this négociant bottling of Pinot Noir is actually pretty drinkable. Founded in 1731, Bouchard is one of the oldest négociant businesses in all of Burgundy, now comprising 130 hectares across the region. Their Bourgogne Pinot Noir is exactly what you’d expect from Burgundian Pinot: earthy and red-fruited, with low levels of tannins and easy drinkability. A general crowd pleaser. Clocking in at just over eight euros a bottle, this organic and biodynamically farmed Cabernet Franc is definitely one of Monoprix’s best deals. Produced by Thierry Germain, this chuggable Cab Franc is energetic and earthy, hailing from old vines rooted in sandy, tuffeau-limestone soils. Red-fruited and pleasantly peppery, without erring on the side of vegetal; serve slightly chilled. Château Sainte-Marie is the epitome of what affordable Bordeaux should be. Headed by fifth-generation Stephane Dupach, the winery encourages biodiversity in the vineyard, with vines averaging 35 to 40 years in age. This Merlot dominant blend (70 percent) is rounded out with 30 percent Cabernet Sauvignon, produced from organic fruit rooted in silty, clay-limestone soils, aged 12 months in French oak. Notes of dark fruit and well-integrated tannins create a concentrated, structured wine, full of body and finesse. A steal for the price! A slight ‘splurge’ in the world of Monoprix wine shopping, this 12 euro bottle of cru Beaujolais is well worth the double digit price tag. Owned by Burgundy-based Louis Jadot, this Morgon-based bottling is named after its dark schist soiled site, with fruit harvested by hand prior to an extended three week maceration. Fuller-bodied and supple, with notes of ripe raspberries, soil, and crushed rocks, balanced by energetic acidity and well-integrated tannins; think Beaujolais fruit with Burgundian influence. Natural Bordeaux is a rare phenomenon, but Château Peybonhomme-les-Tours defies the odds. The estate’s vineyards are farmed organically and biodynamically, with indigenous yeast ferments implemented. This Merlot dominant (70 percent) cuvée is rounded out with 20% Cabernet Franc and 10% Malbec, a classic Right Bank blend, mostly fermented and aged in concrete with a bit of used oak added to the mix. The wine is food-friendly and fresh, showing notes of black cherry, currants, and earth, with tobacco and herb undertones. Absolutely phenomenal, especially when served with red meats. An insane value. For a fun and interesting wine that costs five euros and change, check out this juicy Marselan produced by Les Domaines Auriol. This long forgotten southern French variety is a cross between Cabernet Sauvignon and Grenache, and is most certainly worth the exploration, especially for such a wallet-friendly price. Jammy and fruit forward, with soft tannins and mouth-filling finish. Bold and budget-friendly; a fun wine!